A proposed shortlist of schemes to harness renewable energy from the tides of the Severn estuary has been announced by the UK Government. Five projects have been selected from 10 examined over the last six months. Among these is a 10-mile barrage proposal from Lavernock Point, Vale of Glamorgan, to Somerset, which has come under fire from environmental groups. Two other barrage schemes and two lagoons, which section off the estuary but do not dam it, are also considered. Backers of the the lagoon projects say their proposals would be less damaging to wildlife. The shortlist, unveiled by Energy and Climate Change Secretary Ed Miliband, will be put out to public consultation before a final shortlist is confirmed. The preferred project is due to be selected in 2010. A three-month public consultation on all ten projects and the proposed shortlist begins from Monday. Mr Miliband also announced £500,000 of new funding to further develop newer technologies such as tidal reefs and fences, which featured in the original 10 proposals. The progress of the technologies would be considered before any decisions were taken on whether to go ahead with a Severn tidal power scheme. The Severn, which has the second-largest tidal range in the world with 42ft high tides, could significantly contribute to meeting the government's renewable energy targets. Announcing the shortlist, Mr Miliband said: "Fighting climate change is the biggest long term challenge we face and we must look to use the UK's own natural resources to generate clean, green electricity. "The Severn estuary has massive potential to help achieve our climate change and renewable energy targets. We want to see how that potential compares against the other options for meeting our goals. "We have tough choices to make. Failing to act on climate change could see catastrophic effects on the environment and its wildlife, but the estuary itself is a protected environment, home to vulnerable species including birds and fish. "We need to think about how to balance the value of this unique natural environment against the long-term threat of global climate change." The Welsh assembly environment minister, Jane Davidson, added: "The shortlisted schemes are based on relatively well understood hydroelectric technologies, with a mix of existing and new engineering structures." Conservationists fear some of the plans for the estuary could be hugely damaging to wildlife. Environmental campaigners also say barrage electricity would be more expensive than renewable alternatives. Environmental organisation WWF Cymru is calling on the public to respond to all 10 proposals and not just the selected five on the shortlist. Morgan Parry, head of WWF Cymru said: "WWF is pleased that lagoons are being considered as alternatives to the big barrage. "However, in not shortlisting other more innovative ideas, the government may be compromising its ability to find the most sustainable solution." The Countryside Council for Wales said it was concerned the Cardiff-Weston barrage had been selected despite "fears surrounding its affordability and major impacts on the internationally important habitats and species of the estuary and its tributaries". The long list, published last summer, included the well-studied 10-mile barrage plan, which could generate up to 5% of the UK's electricity within 14 years at a cost of an estimated £15bn. The barrage proposals in particular have attracted controversy, as interference with the tide could wipe out 11,000 to 15,000 hectares of wetland habitat in the estuary which provides food for 65,000 birds in winter. Some of the schemes could also have an impact on fish, affecting fishing in the Severn and tributaries, and on shipping to ports in the estuary. A study for the RSPB had suggested that another option on the long list, a 12-mile "reef" which would not hold back the full height of the tide but would use floating turbines to generate power, could be cheaper and less damaging to wildlife than a barrage. 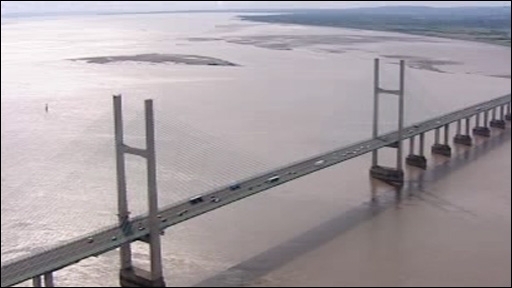 The two-year multi-million pound feasibility study by the Government aims to assess the costs, benefits and impacts of a tidal scheme in the Severn and identify a single preferred project from the options that have been proposed.